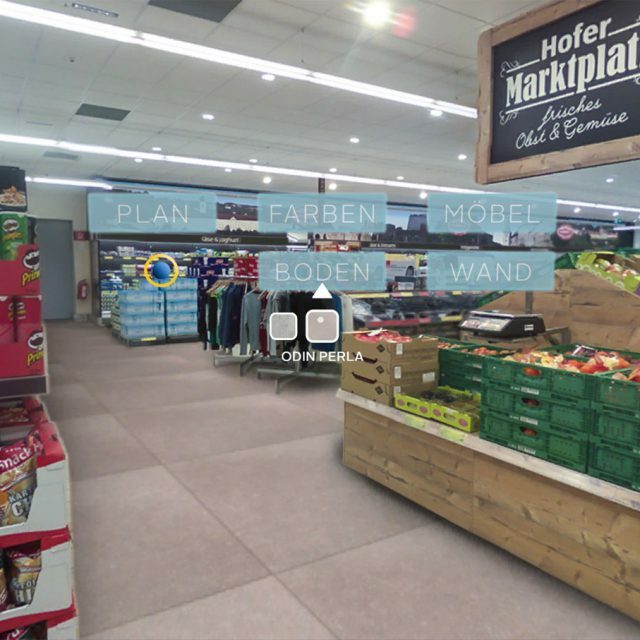 Hofer VR configurator is a VR tour app on the GearVR, produced for the Austrian supermarket chain Hofer. 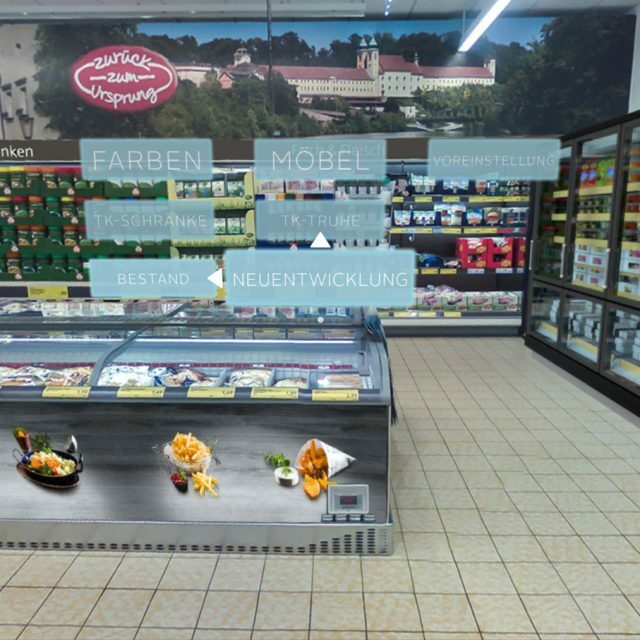 The app has been designed for employees to digitally navigate through a Hofer store, while also being able to change interior details like floor tiles, wall colors or the shelves for fruit and vegetables. 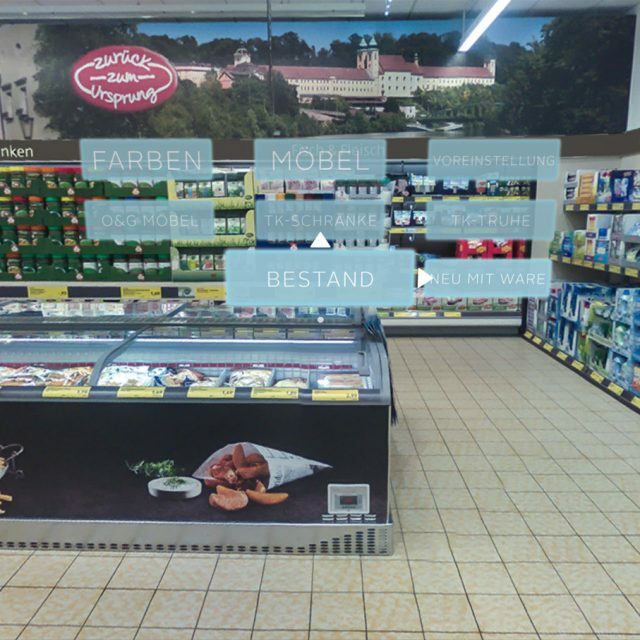 To achieve this, 360° panoramic photographs have been shot in the store at 7 different locations. 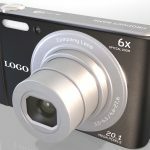 To create a better feeling of depth, the photographs were shot stereoscopic, which means two pictures with a slight offset had to be taken for each way-point in the app. Those images have then been applied as textures onto two spheres per location, one for each eye. 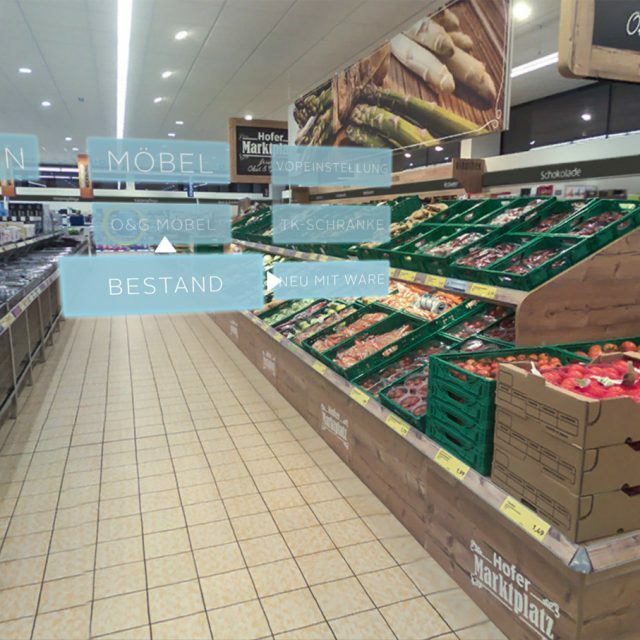 After that, the virtual shop layout, scaling and camera positions needed to be established, in order to position and render the store additions as separate 360° stereoscopic images. Furthermore, masks needed to be painted manually so that only the right parts are put over the photographs. At the end the final images were then blended in and out on top of the photographs to create the configurator. The user can control store configurations via a menu, which can be navigated either by gaze control, or by using the GearVR touch pad on the side of the headset. 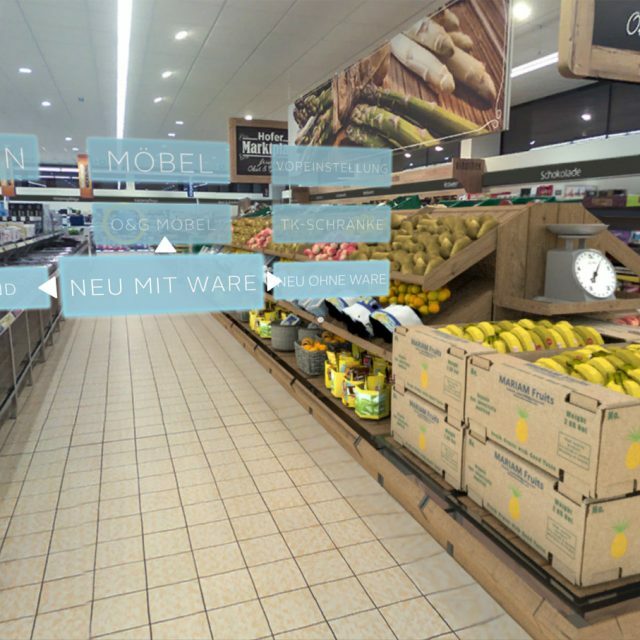 Navigation through the store works by looking at way-point icons which moves the user through the environment while blending from one set of spheres to the next. Alternatively, the menu map can be used to jump to any way-point instantaneously. Features of the app include 7 way-points located around the shop, three different floor types, two wall and header board colors, one alternate fruit & vegetable stand as well as one freezer row. The two latter ones had options to display them either full of products or empty. The menu contains four sections: plan, colors, furniture and presets. Presets allow the user to change the entire store at once with predefined configurations. 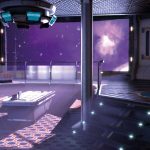 3D visualization and graphic design: Pipe Studio.